You can rely on our attorneys’ skills and commitment. Senior attorney Lucius Hawes has been designated as a Super Lawyer by Law & Politics magazine. 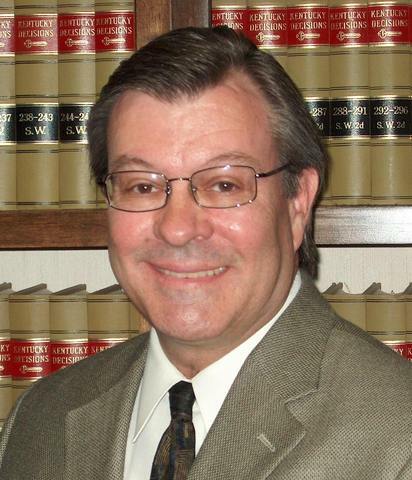 Mr. Hawes has more than 30 years of personal injury and wrongful death trial experience in courts throughout the region. Lucius became licensed to practice law in Tennessee. Practice shifted to personal injury in Kentucky and Tennessee, including car wrecks, truck wrecks, premises liability, injury claims against the United States, and maritime injury cases. If you have been injured or lost someone you love in a car accident, our board-certified Civil Trial Specialist, Lucius Hawes, and staff are ready to handle the legal matters related to your car accident while you focus on getting better. Have you been injured due to poor property maintenance? Lucius Hawes Law has been helping clients recover compensation for injuries and financial losses suffered in slip and fall accidents on unsafe properties for 30 years. We offer a free consultation to discuss the property owner’s responsibility and the likelihood that you can obtain money damages for your injuries. If you have been in a truck accident, trucking companies will move quickly to protect their financial interests after an accident. Their insurance companies often look for ways to blame you. We know how truck companies and their insurance companies will approach a case, and we fight hard for full and fair settlements for damages. If you are considering filing for Social Security disability benefits or have already been denied, it is important to know nearly 80% of all initial claims get rejected. Concluding a successful claim takes diligence, experience, and determination. If you are entitled to and need the benefits, but don’t have the knowledge or time to pursue the process, we are the place to turn.